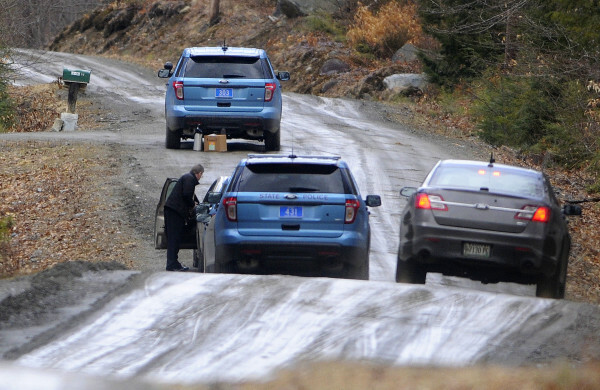 Maine State Police on Friday monitor McNally Road in St. Albans near where a suspicious death occurred. Maine State Police investigate the scene of a suspicious death Friday on McNally Road in St. Albans. ST. ALBANS, Maine — Maine State Police arrested a 24-year-old St. Albans man who allegedly shot and killed his uncle inside the uncle’s home at 50 McNally Road. Jeremy Erving, who lives at a different address in St. Albans, was taken into custody about 2 p.m. Friday, Maine Department of Public Safety spokesman Stephen McCausland said. Erving is charged with murder in the death of Randy Erving, 53. He was arrested after being questioned by detectives. “Between 8:30 and 9 o’clock this morning, our state police dispatch in Bangor received a 911 call; it was a medical call,” said Lt. Jeff Love of Maine Crimes Unit-Central of the Maine State Police, addressing reporters in St. Albans on Friday afternoon. “Simultaneously, an individual walked into the Somerset Sheriff’s Department, reporting that there was a shooting incident on the McNally Road. “As a result, the Somerset Sheriff’s Department sent a couple of deputies to investigate and upon arrival found a deceased male,” Love said. McCausland said that deputies found the body of Randy Erving in his bedroom. The deputies then contacted the Maine State Police Major Crimes Unit, which began conducting interviews with family and friends of the two men. 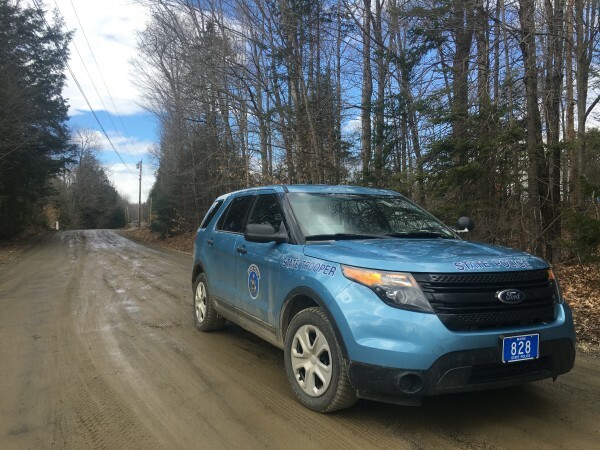 McCausland added that a team of state police evidence technicians would process the home for evidence and the body would be taken to the state medical examiner’s office in Augusta for autopsy. Jeremy Erving was taken to Somerset County Jail and is expected to make his first court appearance on Monday or Tuesday. McNally Road is a dirt road near the Ripley town line. The road is posted at this time of year. On Friday, Maine State Police had the travelway blocked off just beyond the intersection with Route 23/152, closing McNally Road to all but residential traffic. The older Erving’s home is located several hundred yards down the road. 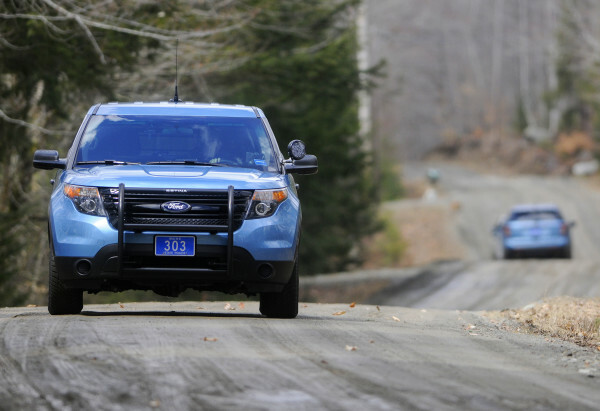 Police vehicles parked near the home were visible from the point where travel was blocked, including the Maine State Major Crime Unit van that was at the home for more than an hour and a half. Edward Groskranz, a resident of St. Albans who said he did not know either the dead man or suspect, stopped by the end of McNally Road to see what was going on. “It seems to be happening all over, I guess eventually it [would happen] here,” he said. Both the deceased man and his nephew had previous minor brushes with the law. Jeremy Erving was arrested by Maine State Police on Oct. 24, 2015, according to his criminal history record obtained from the Maine State Bureau of Identification. 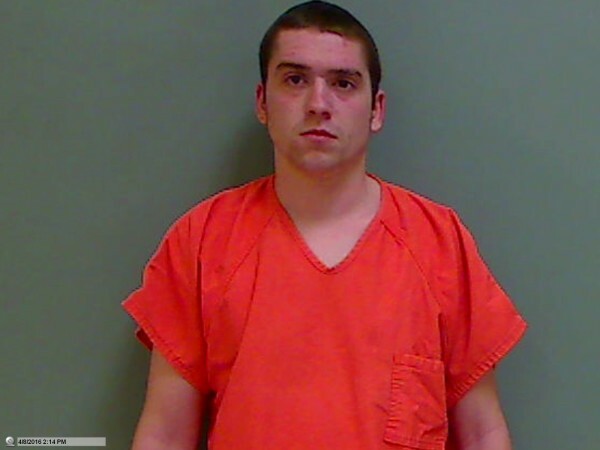 He pleaded guilty Dec. 19, 2015, at the Somerset County Courthouse in Skowhegan to one misdemeanor count of operating under the influence of intoxicants. He was sentenced to eight days in jail and fined $500. His license was suspended for six months. Randy Erving was charged in November 2000 with misdemeanor disorderly conduct by Maine State Police, according to a criminal background check. He pleaded guilty on April 4, 2001, in Newport District Court. He was sentenced to seven days in the Penobscot County Jail, all suspended, and one year of probation. If convicted of murder, Jeremy Erving faces between 25 years and life in prison. BDN writer Judy Harrison contributed to this report.